Kitty Norville, star of a New York Times bestselling series, is everybody's favorite werewolf DJ and out-of-the-closet supernatural creature. Over the course of eight books she's fought evil vampires, were-creatures, and some serious black magic. She's done it all with a sharp wit and the help of a memorable cast of werewolf hunters, psychics, and if-not-good-then-neutral vampires by her side. 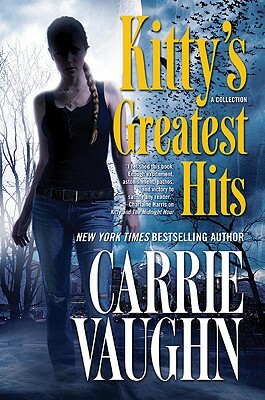 Kitty's Greatest Hits not only gives listeners some of Kitty's further adventures, it offers longtime fans a window into the origins of some of their favorite characters. In "Conquistador de la Noche," we learn the origin story of Denver's Master vampire, Rick; with "Wild Ride," we find out how Kitty's friend T.J. became a werewolf; and in "Life Is the Teacher," we revisit Emma, the human-turned-unwilling-vampire who serves the aloof vampire master of Washington, D.C. This entertaining collection includes two brand-new works: "You're on the Air," about one of Kitty's callers after he hangs up the phone; and the eagerly awaited "Long Time Waiting," the novella that finally reveals just what happened to Cormac in prison, something every Kitty fan wants to know.